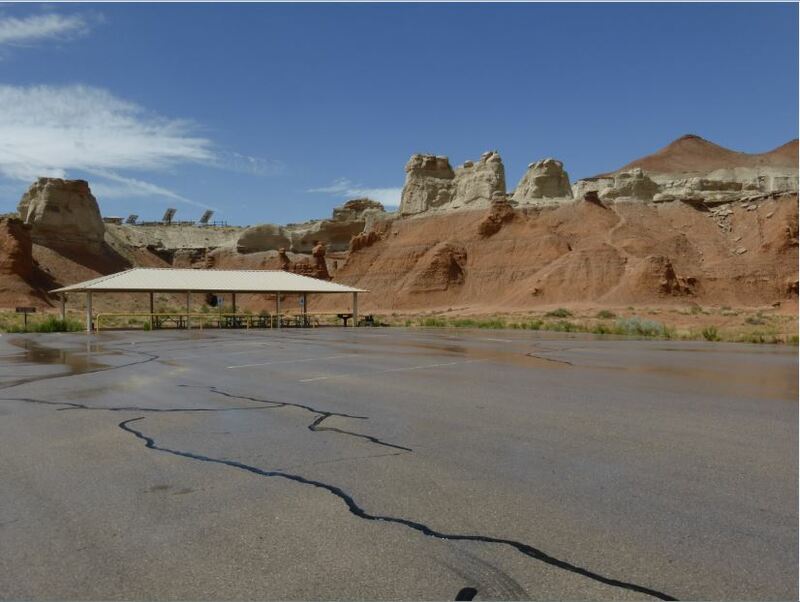 The camping charge per night is $30.00, which includes the park’s $15.00 entry fee (NEW FEES EFFECTIVE 3/15/2018). 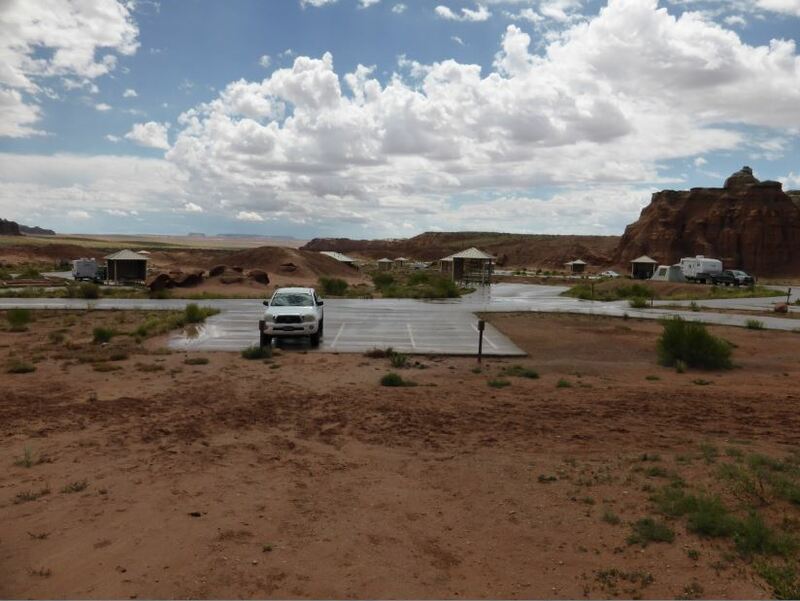 An extra vehicle may be brought in for an additional $15.00 per night. 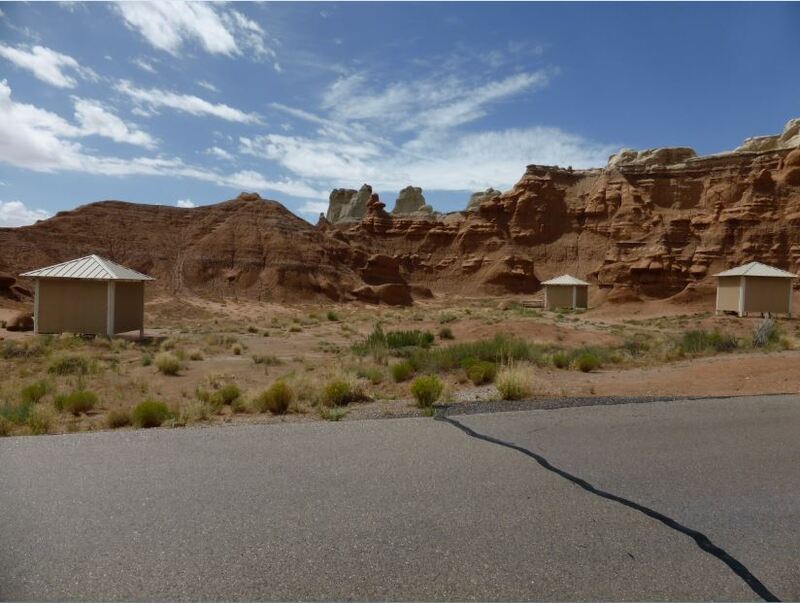 While not located in the Valley of Goblins itself, the campground is nonetheless surrounded by interesting rock formations that invite exploration of their own. 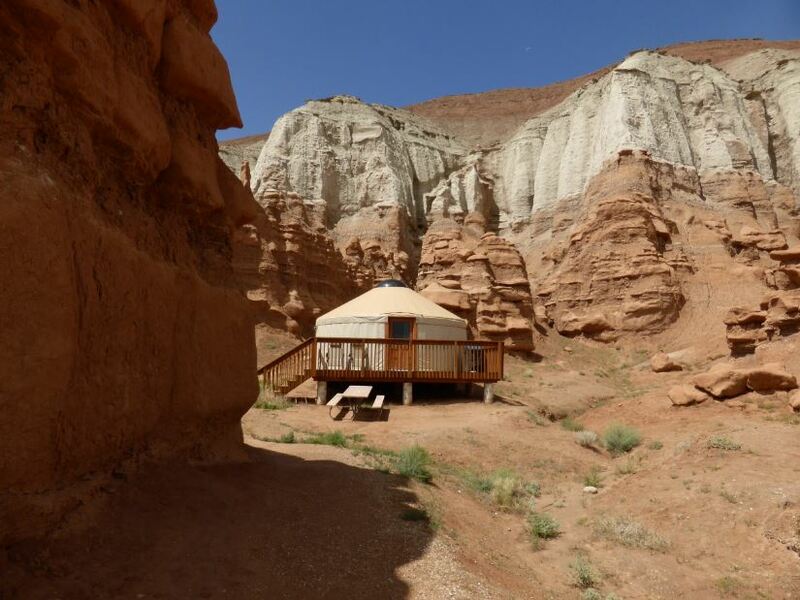 For those wishing to stay in a higher level of comfort, consider one of the park’s two yurts – modeled after traditional nomadic tent dwellings of Central Asia. 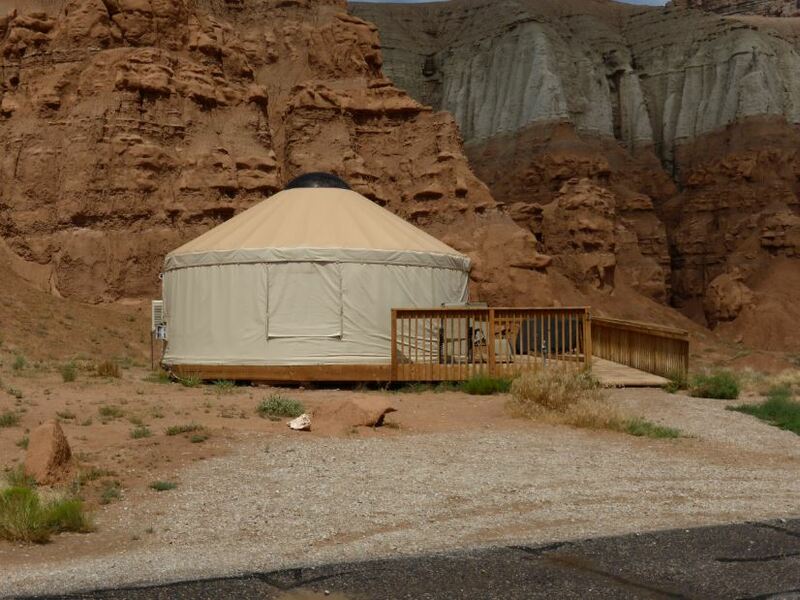 Constructed in 2011, the yurts at Goblin Valley were the first of their kind in the Utah State Parks, and their popularity has since caught on elsewhere. 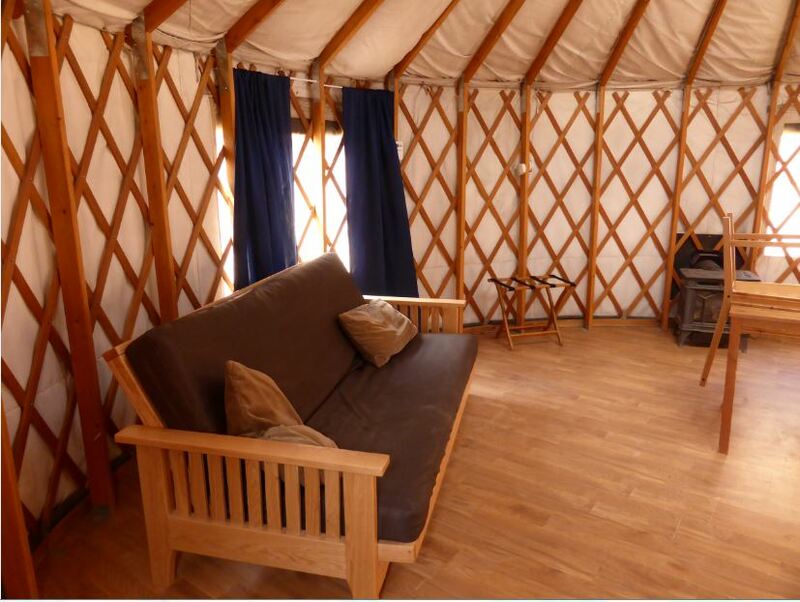 Each is furnished identically, and is equipped with both heat and air conditioning. 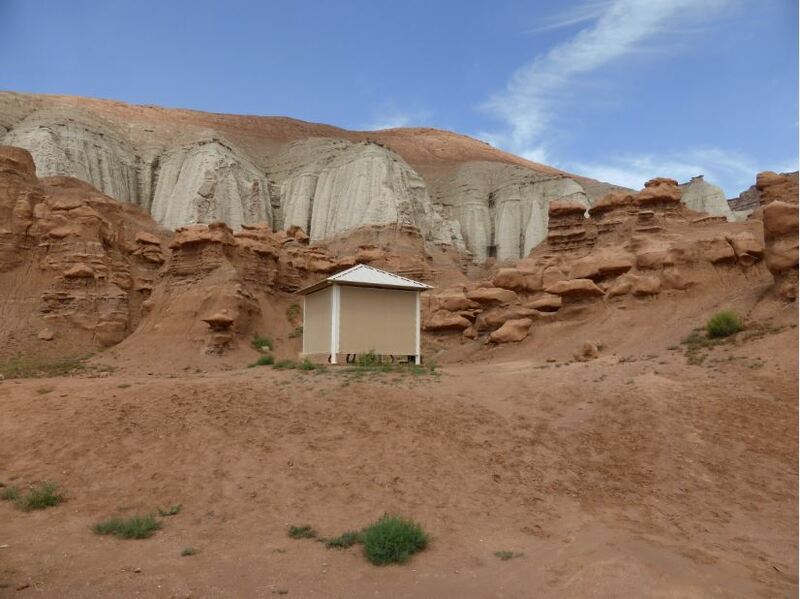 Sleeping arrangements include a single bed bunked on top of a double bed, as well as a futon couch. A table with four chairs are provided inside, and reclining deck chairs are available for outdoor relaxation. For cooking, an outdoor grill is available along with propane free of charge. 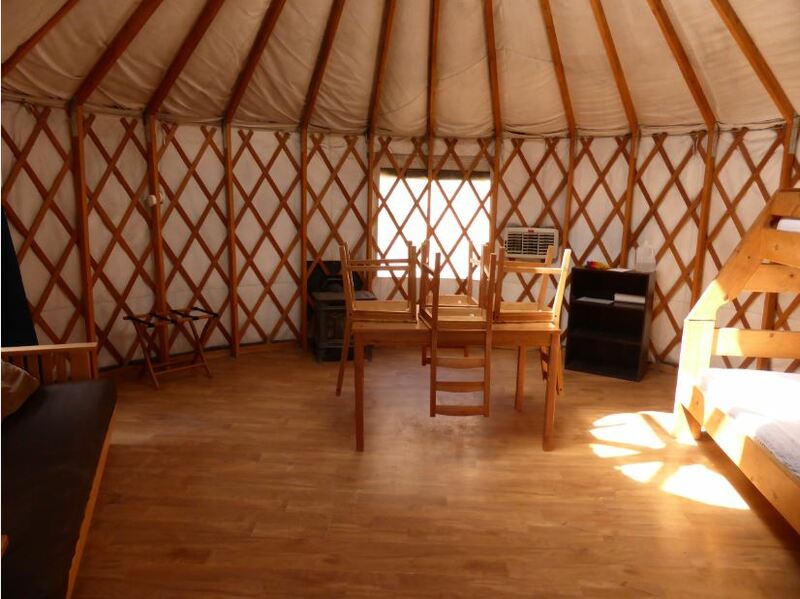 Pets are not allowed in the yurts. 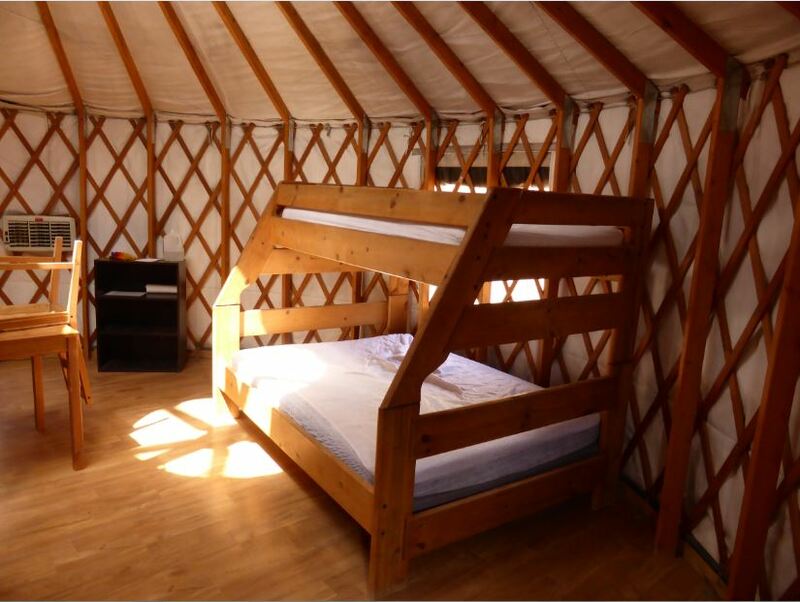 For current yurt rate and availability, or to make a camping reservation, please visit the website www.reserveamerica.com, or call the reservation hotline at 1-800-322-3770. Want more options? 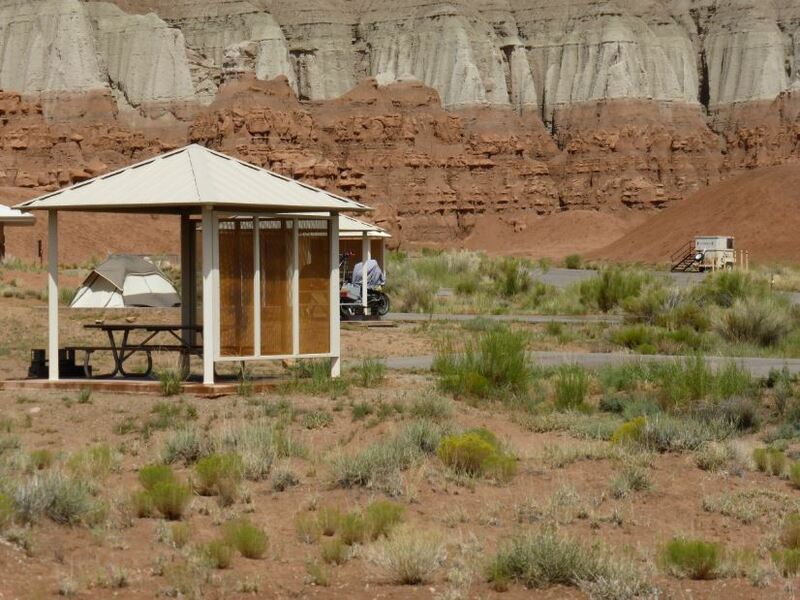 How about having someone else set up your campsite for you? 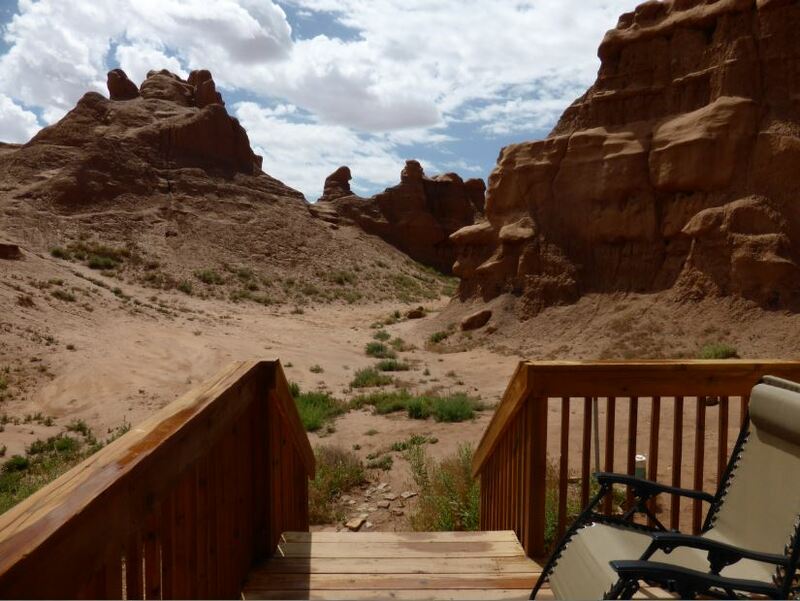 Utah Camping Company will help make your trip one to remember and allow you more time to do what you love instead of wasting time setting up your site. 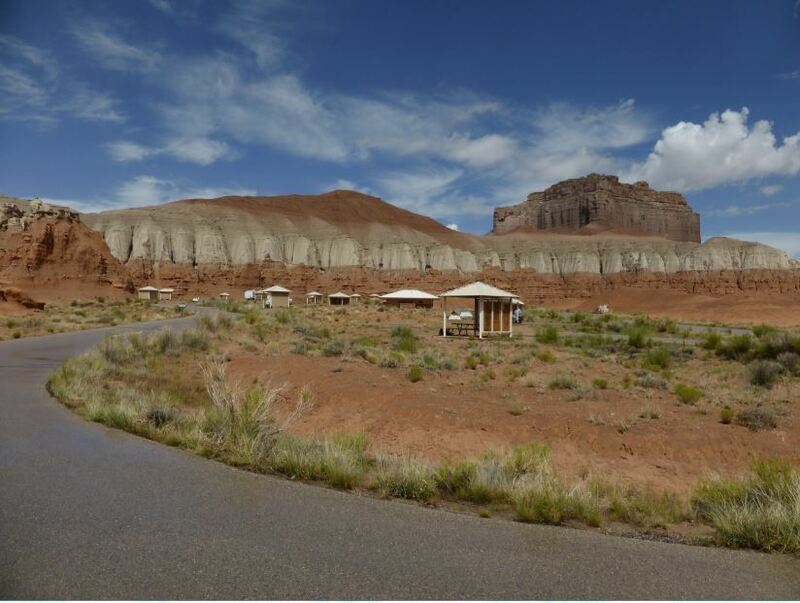 Check Out Utah Camping Co. at Goblin Valley!